Water is a scarce resource, we have been hearing and reading this across various media forms for a long time and have been doing close to nothing to save water. There are various initiatives that have been taken up by governments, nonprofit organizations and individuals to address this problem, but the questions is how far have we come to save water? Are we not in a position to claim that water won't be a scarce resource and the measures taken to save it will help in the long run? The answer unfortunately is a big No! Do you think that this problem of water scarcity, when it is one of the essential resource for human survival, can lead to wars? Well, the answer is a big Yes! We are already witnessing many disputes across geographies not only within the national boundaries, but also at international levels. The water diplomacy doesn't seem to work right now, but probably in the long run it should and only we can only hope. I recently read Radius 200, a book by author Veena Nagpal wherein the story plot seems to be inspired from these real life incidents and issue evolving out of water scarcity. In the story, there is a love, there is war, there is a will and decision making abilities at stake. 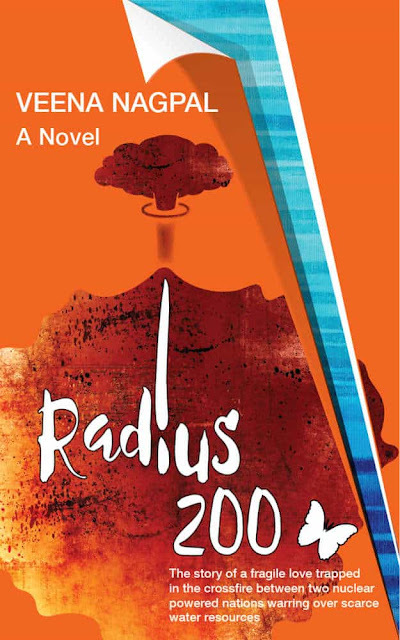 The tagline of the book Radius 200 is "The story of a fragile love trapped in the crossfire between two nuclear nations warring over scarce water resources". Sounds like an interesting plot? The book cover will give you more hints! Radius 200 is a gripping fictional tale of two neighboring nations, nuclear nations, at war and one is eyeing at stealing an entire river from India. A top-rank Indian General decides to fight back and forbid this nefarious event and thus marks the starts the disastrous events which ultimately involves a nuclear attack. A nuclear attack means devastation and the creation of an exclusion zone within the radius of 200 kilometers from the place of incidence, thus the title Radius 200. Radius 200 is not a war story, but a love story woven around the war and the human emotions are on display. 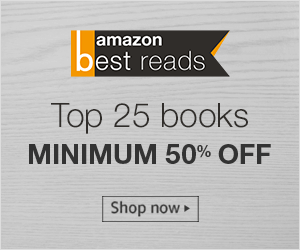 The story is beautifully written, the choice of words is good, the characters are developed well and the interesting part is the human relationship at various levels between them. There are various incidents mentioned in the book which will make you sympathize, excite, sad, angry at the situation which is an underlying reality under the pretext of fiction. The story may not be politically correct, as it addresses the problem to the core. Radius 200 appears to be a well researched and equally well presented book with correct statistical information. There are a few love making scenes in the story, which could have been avoided, however the intention behind adding those seems to address human emotions. So does Kyra find her love? What happens to the river? What are the larger consequences of the nuclear attack? Who wins? That's in for the story to tell. I would recommend Radius 200 by Veena Nagpal to anyone interested in reading a romance fiction woven around war and water issues. Thank you, Abhijit! Do share your thoughts when you have read the book. A nice, summarized and well written Book review. Thank you for the kind words, Jiten!